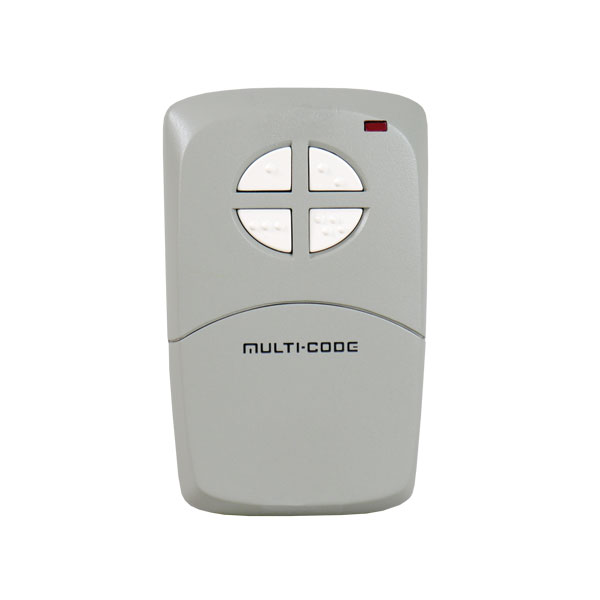 This is a Linear Multi-Code 414001 Four-Channel Visor Remote. It is a four-channel device. Each button activates one of the four channels. The buttons feature raised dimples for easy or vision-impaired identification. The transmitter has a red test/operate indicator and is powered by a 9-volt battery. A visor clip is included. The transmitter is Multi-Code format with two 10-position coding switches providing 512 possible codes for each channel. Independent coding supports activation of a common gate and a private door. The transmitter will only activate receivers set with the same code.